The main exposure of interest was zolpidem. 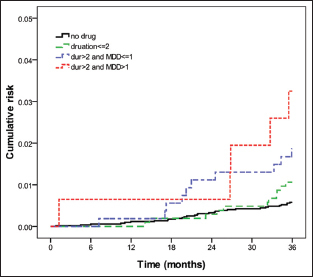 The dosage, date of prescription, supply days, and a total number of pills dispensed were obtained from the outpatient pharmacy prescription database. 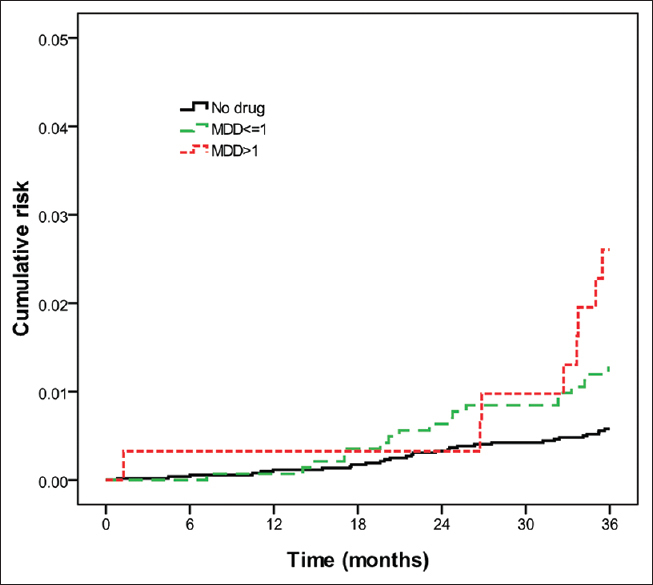 The mean daily dose was estimated by dividing the cumulative number of pills prescribed by the follow-up time from the date of initiating zolpidem treatment to the date of incident cancer, date of stopping medicine, or end of this follow-up study. 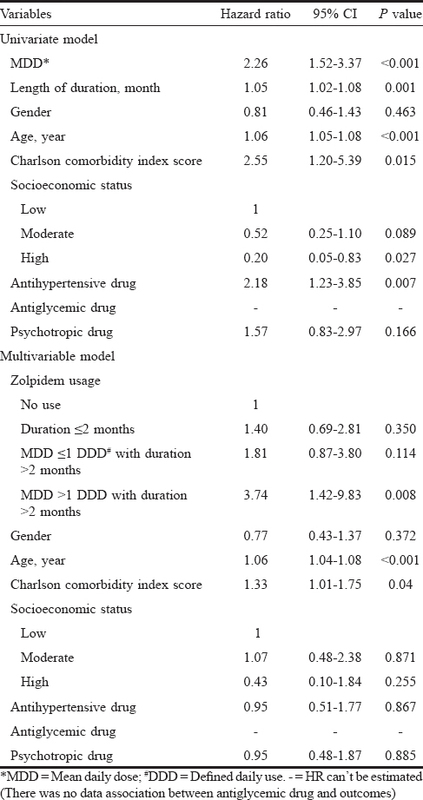 The defined daily dose (DDD) was 10 mg for zolpidem. 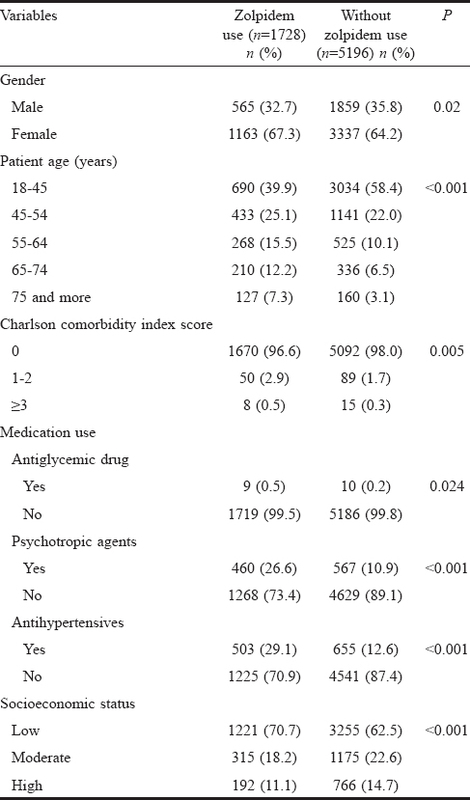 Other medications included in analysis were antihypertensives (i.e. propranolol, terazosin, doxazosin, prazosin, atenolol, furosemide, nifedipine, verapamil, diltiazem, isosorbide dinitrate, lisinopril, amitriptyline, chlorpromazine, or prochlorperazine), psychotropic agents (i.e. diazepam, alprazolam, or haloperidol), oral hypoglycemic agents, and insulin. Information on patients' age, gender, comorbidities, and monthly income level as a proxy of socioeconomic status (SES) were collected. The comorbidities for each patient was based on the modified Charlson comorbidity index score, a widely used measure for risk adjustment in administrative claims data sets. The SAS statistical package, version 9.2 (SAS Institute, Inc., Cary, NC), and SPSS version 15 (SPSS Inc., Chicago, IL, USA) were used for data analysis. 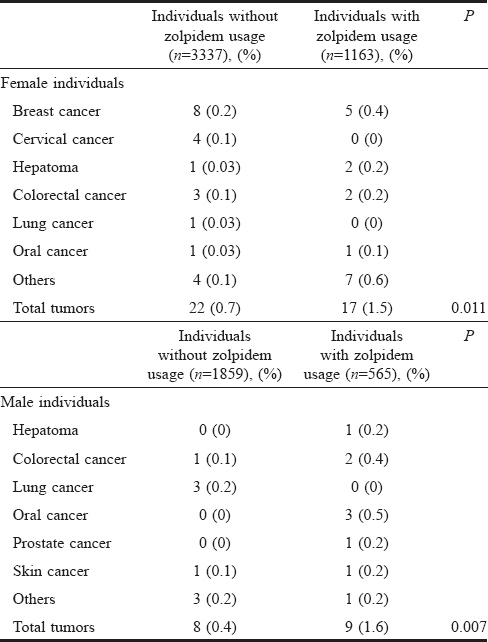 Pearson's Chi-square test was used for categorical variables, demographic characteristics (age group and gender), comorbidities, and medications. Kripke DF, Langer RD, Kline LE. 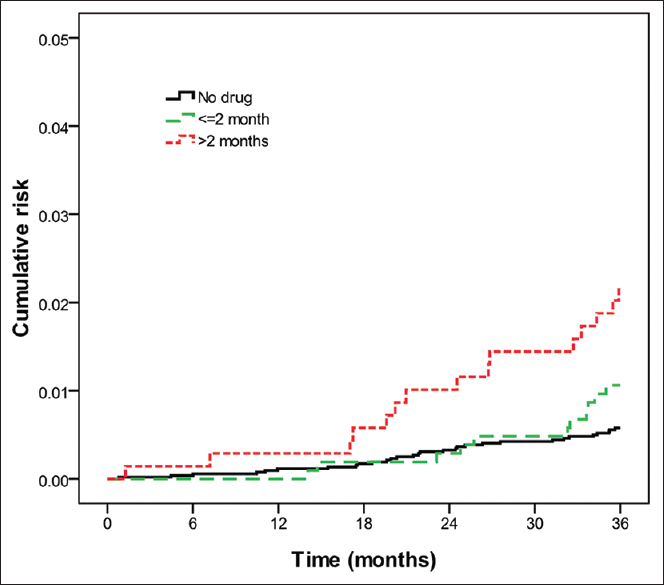 Hypnotics' association with mortality or cancer: A matched cohort study. BMJ Open 2012;2:e000850.